Posted February 3rd, 2013 by & filed under Pilfering Pooches, Submitted. This is our “puppy” Hooch. 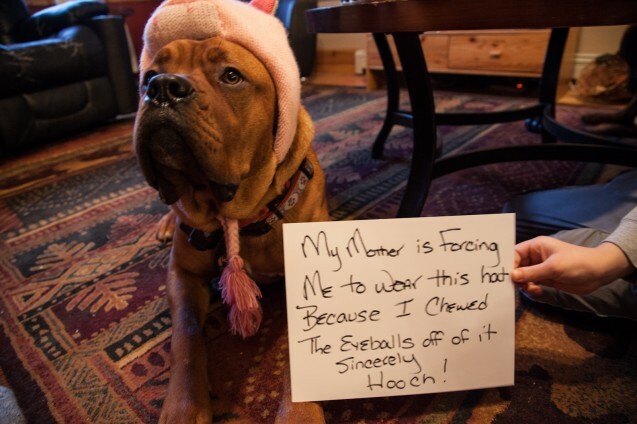 He is a Tosa Inu Mastiff and he got bored this morning and ate the eyeballs off of my son’s piggy hat.